Xperia Z3 after its release through IFA event, comes with some amazing features that made it flagship smartphone among Sony devices. Xperia Z3 is one of the smartphones, you would never want to miss it. At a Six months of threshold time from its predecessor, Sony has released Sony Xperia Z3. 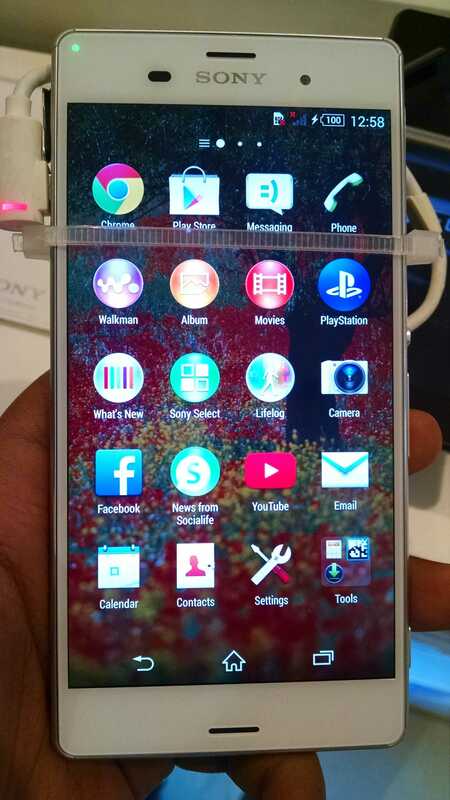 Xperia Z3 is curved at the edges for a fresh new look, the handset is supposed to offer improved ergonomics. Add the slimmer bezels, the loss of weight and the slimmer profile, and it is already looking strong in the only area where its predecessor Xperia Z2 was open to criticism. 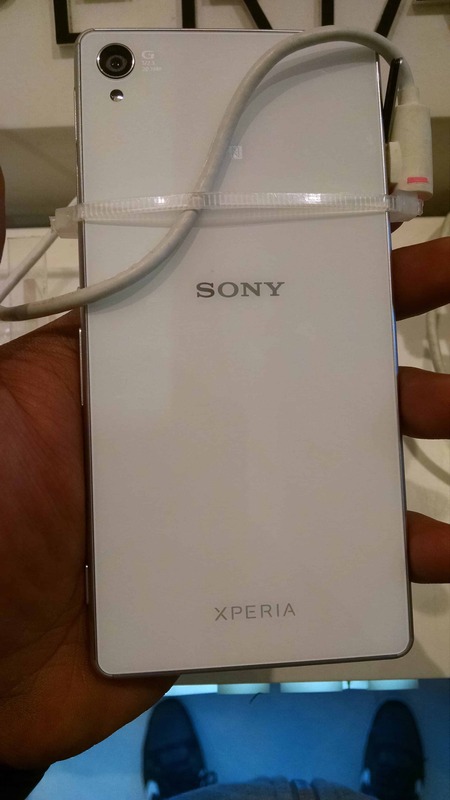 Xperia Z3 was also designed using the strengths from its Xperia Z2. Z3 got a higher IP certification while the 20MP camera has received a few cool new modes. Yet, it was the image processing that wasn’t quite spot on last time around and we are really curious if Sony got it right this time. Let’s see the top 5 best features that made Sony Xperia Z3 an unique smartphone. 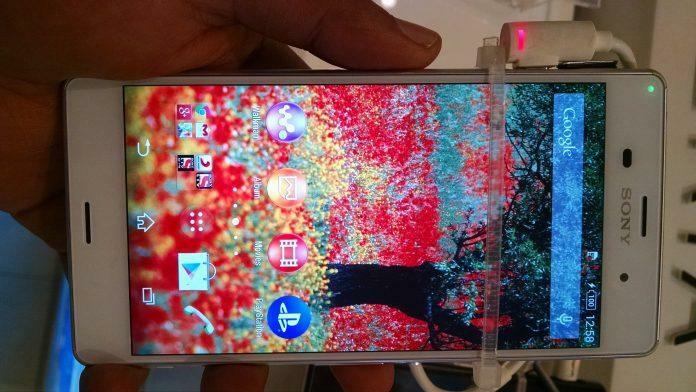 Sony has made a complete change with its design in Xperia Z3. Z3 has changed from familiar flat sides to rounded tips. Plastic is replaced by Metal design. The glass back and front panels are still here, though, so you’ll easily recognize that this is a smartphone belonging to the top tier of the Xperia family. The overall result is great and is helped in no small part by the excellent build of the Sony Xperia Z3. Despite the different materials for the front and back panels and the sides, which pose some engineering problems, the smartphone is well put together and there are no unsightly gaps between the panels to spoil its looks. The difference in size may not be too great, but the handling of the Sony Xperia Z3 is a marked improvement over that of its predecessor. The rounded edges and the slimmer waistline make the company’s new top dog far easier to both hold in the hand and pocket. Sony Xperia Z3 has a perfectly flat back – a fact it was keen to point to when Apple announced the iPhone 6 and its bulging camera. However that and the glass panel on top makes the phone very slippery when placed on similarly non-textured surfaces – like glass tables for examples. You have to be very careful so the smartphone doesn’t slide off an edge and goes crashing against the ground. 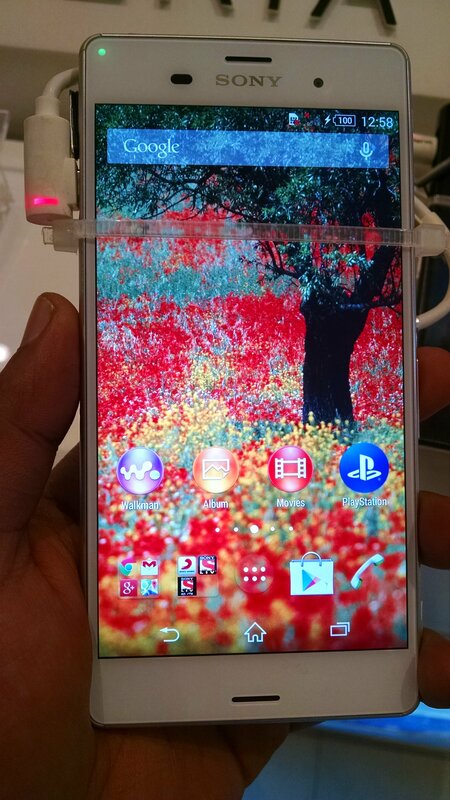 The Sony Xperia Z3 has a 5.2″ IPS LCD of 1080p resolution with a brand new panel, which brings a few key improvements. The color temperature has been adjusted, but more importantly the battery draw has been reduced, which has allowed Sony to push the maximum brightness here. The secret behind these improvements lies in the Live Color LEDs that Sony has incorporated into the TRILUMINOS display technology found in previous Xperia mobiles. Live Color LED combines red and green phosphor with blue LEDs to produce brighter and more uniform light without consuming extra power. The brightness also helped the smartphone in the outdoor visibility test, where it posted a very respectable score. We have seen phone do better, but the Xperia Z3 is easily good enough to be usable outdoors and that’s what matters the most. Overall the Sony Xperia Z3 screen is a solid performer, delivering excellent sharpness and image quality in respect to its display technology. 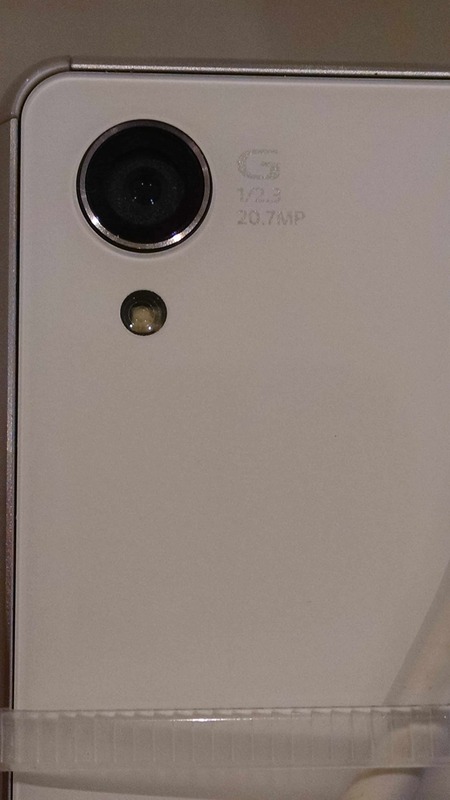 The Sony Xperia Z3’s camera uses the same 20.7MP sensor that was introduced back with the Xperia Z1 and is currently in the Xperia Z3 Compact too. It shoots at a maximum resolution of 5248 x 3936 pixels (20.7MP) in manual mode, or 3264 x 2448 (8MP) in Superior Auto. There is also a LED flash to help you with some low-light photos. Speaking of, the sensor in the new Xperia Z3 series supports ISO 12,800 to let the phone handle even very dark scenes. The camera interface is laid across two panes and is shared with the camcorder – you can snap a photo or shoot a video without changing modes most of the time. Depending on the shooting mode selected, the video shutter key may be replaced by a still/video mode toggle. In Manual mode you get limited controls: Exposure Compensation, White balance, Metering, Image stabilization and ISO. 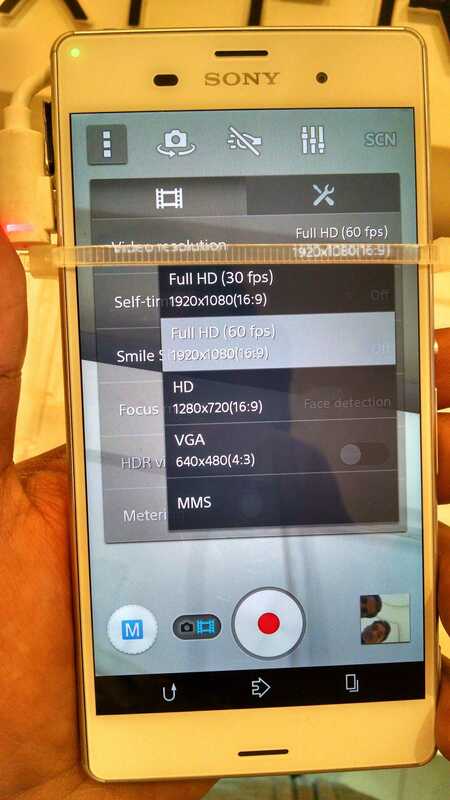 The maximum selectable ISO is 800 at full resolution, 3,200 at 8MP or less. There’s a 12,800 ISO setting as well but that’s only available in Superior auto and cannot be manually forced. The Xperia Z3 comes with two Augmented Reality modes and you can shoot photos and videos in both. The AR Effect can, for example put a T-Rex in a jungle, while AR Fun lets you toss fruits, bombs and other stuff into the scene. Since AR Fun is interactive it works much better on video. The Sony Xperia Z3 saw a comes with an ample 3,100mAh battery, but compared to its predecessor’s 3,200 mAh juice pack that is actually a downgrade. The Sony Xperia Z3 runs with an excellent 85h endurance rating, but that was just short of the Xperia Z2’s 89h. For purposes practical these two scores are identical and mean that you will be getting three and a half days of battery life if you use the smartphone for an hour of web browsing, calling and video watching per day. When it comes with Power user perspective like me, Xperia Z3 will be getting far less time between charges, but they should still only need to charge every other day. And if you absolutely must extract the longest endurance out of your new Sony smartphone, you should check out the Stamina mode. It helps extend your battery life by toggling things like Wi-Fi, GPS, Bluetooth screen brightness, auto sync and background data on and off automatically when the battery charge falls below a certain user-defined threshold. You can also turn off the Wi-Fi receiver if there is no saved Wi-Fi network in range or turn off mobile data when the screen is off, among other things. 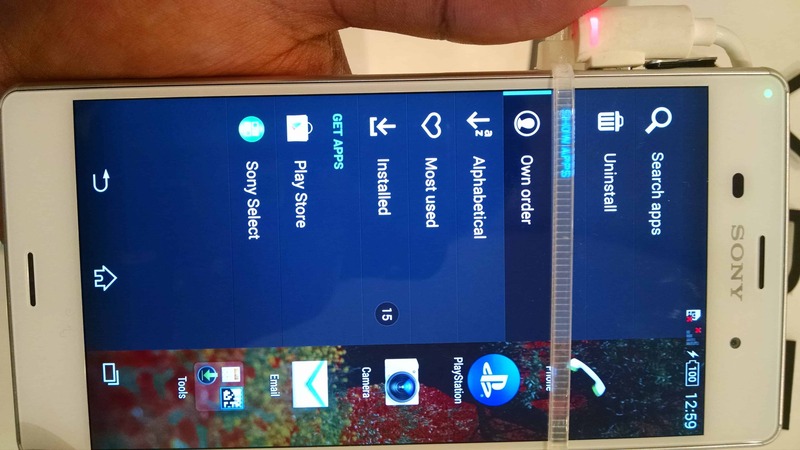 The Sony Xperia Z3 is powered by an MSM8974AC Qualcomm Snapdragon 801 chipset, which runs the Krait 400 CPU at the maximum 2.5GHz and clocks the GPU at 578MHz. The MSM8974AB chipset that powers the previous Sony Xperia Z2 is slightly behind with the CPU at 2.3GHz and the GPU at 550MHz. To get the numbers sorted, the Xperia Z3 has a Snapdragon 801 chipset with four Krait 400 cores clocked at 2.5GHz, an Adreno 330 GPU @578MHz and 3GB of RAM.